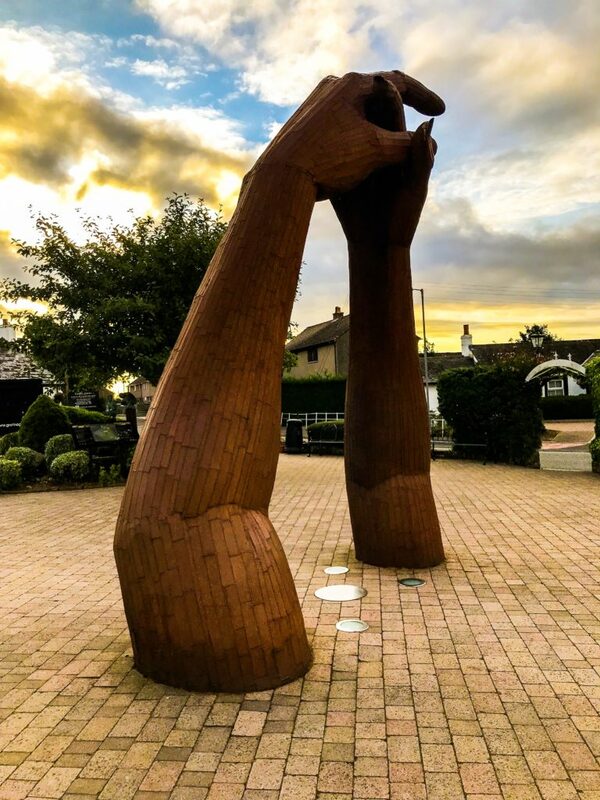 My wife and I have been married for over 17 years so visiting Gretna Green blacksmith smithy on the way up to Scotland for our holiday could be construed as a little too late, but what the heck, a toilet stop was needed. The Roman and Norsemen were among the first to settle in the area. 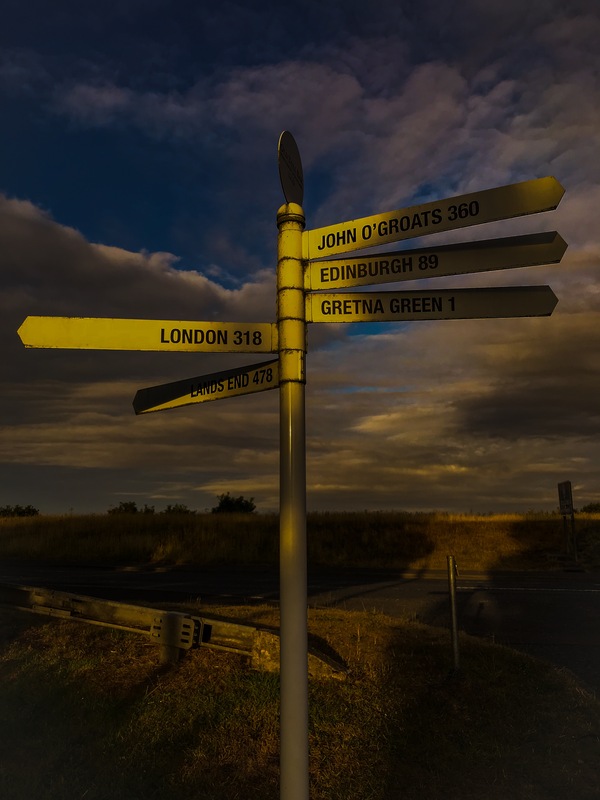 They were later followed by the Angles (English) who gave Gretna its name (Gretenhow) meaning a ravel hill. In the reign of Charles 1 (1625-1649) the river Sark became the recognised boundary between England and Scotland. 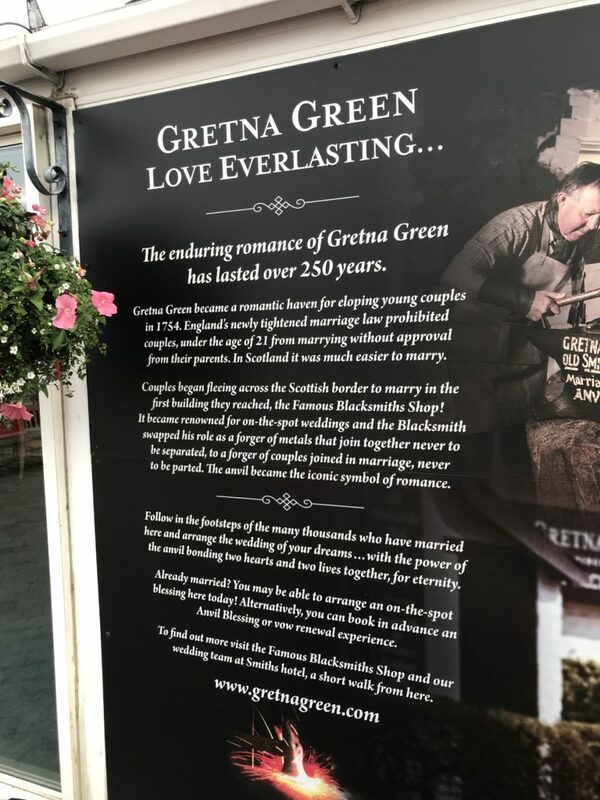 Gretna Green the history of anvil weddings. 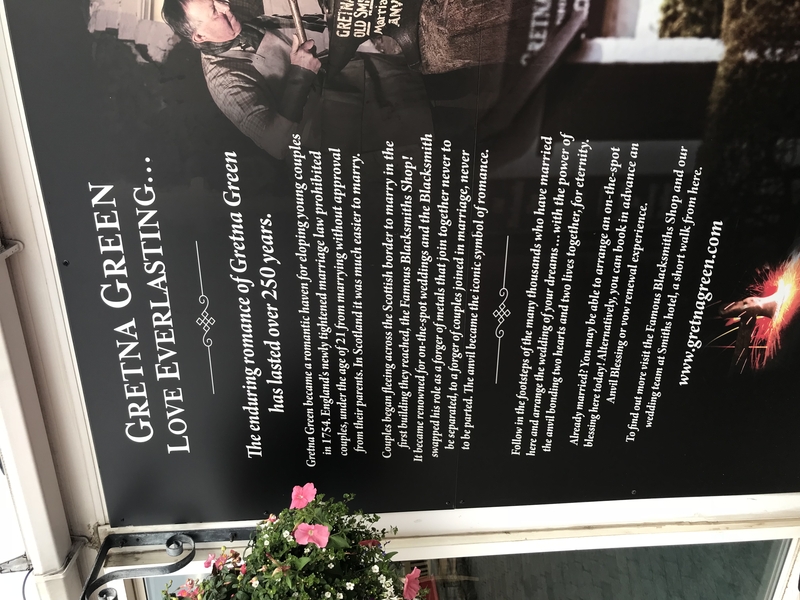 Gretna Green has long been famous for wedding stories, as you can imagine this romantic connotation dates back further than the romantic Victorians to the 12th century. 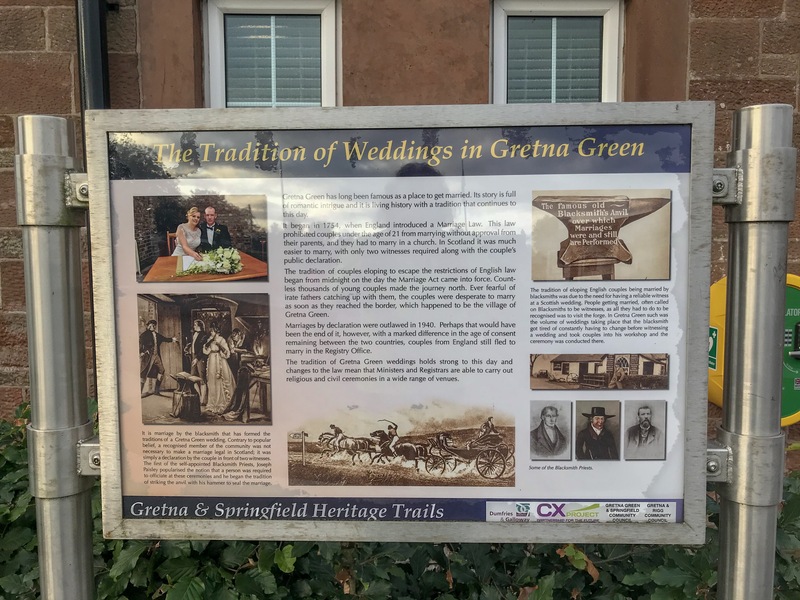 If a couple wished to be married at that time, a no frills ceremony would be held at Gretna and would become man and wife with no expensive receptions, no top hat or tails or stretch limousines. Over the years, the church tried to gain control over this irregular situation because it resulted to their loss of income and gradually brought in a sense of ceremony. By 1563, for a marriage to become legal it required consent of the church and the ceremony would be conducted by a priest. Civil law still recognised its own simple form of wedding that remained quite independent from the church. In the civil ceremony, a couple became husband and wife by joining hands before witnesses and declaring their wish to marry. This type of ceremony is still practised today and is called hand fasting. 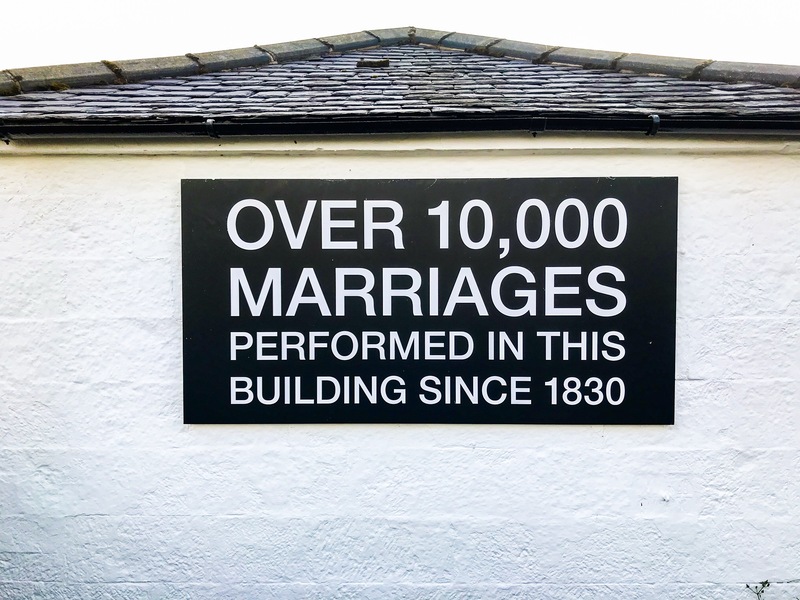 The tradition of couples running away to Gretna Green to marry began in 1754. Lord Hardwickie had introduced an act of parliament which prevented anyone in England under the age of 16, marrying without their parents’ approval but in Scotland the law was different. On learning this, couples under the age of 16 eloped and flocked to the borders to get wed and the first and nearest Scottish wedding venue was Gretna Green. If this wedding venue was endorsed by the church, who held the ceremonies? At that time a blacksmith was considered to be the most important person in the village, he also doubled as the local priest. With so many weddings taking place, he grew tired of constantly having to change before conducting a wedding. He solved this problem by having couples heading to his smithy where he performed the wedding ceremony and struck his hammer over the anvil to seal the wedding. This is where the term “anvil weddings” and “striking while the iron is hot” came from. 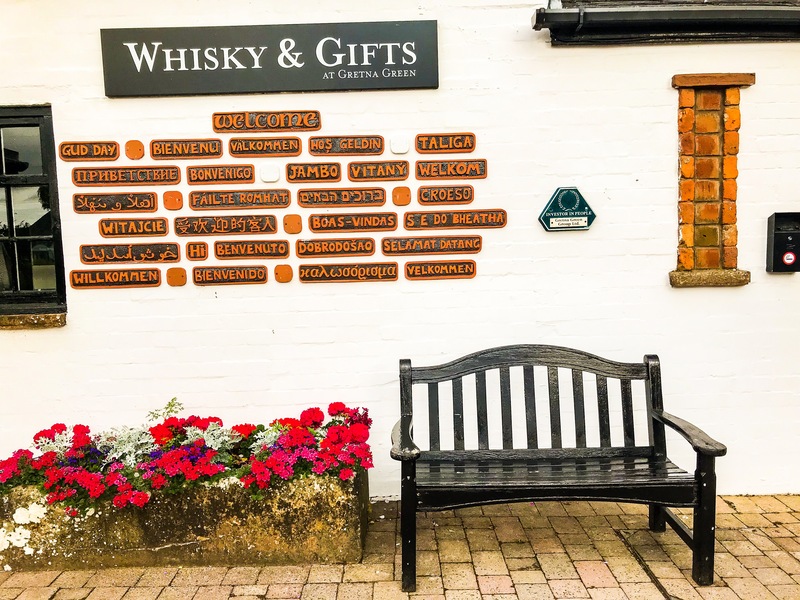 Since 1830, the Old Toll Bar has shared in the wonderfully romantic history of Gretna Green. Initially the main road ran past the nearby famous blacksmith’s shop until around 1830 when a bridge was built over the river Sark. Being the first place over the English border, the Old Toll Bar became a focal point for runaways. 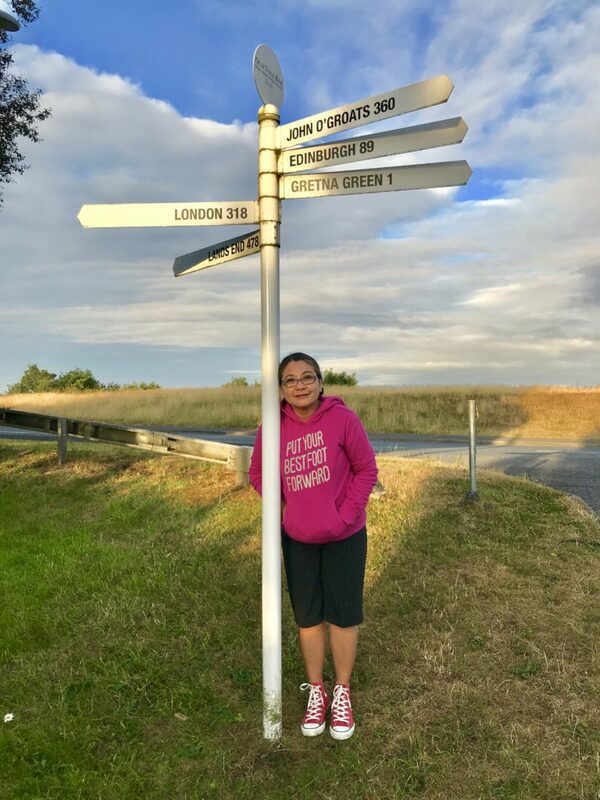 Today the Old Toll Bar and Gretna Green’s famous Blacksmith shop are great places to experience the area’s wonderful heritage and to shop, dine or simply relax, a far cry from what the owners had in mind 188 years ago. The law changed in 1857 when Lord Brougham introduced a three week cooling off period. Couples had to reside in the parish of Gretna Green for the three weeks. The couple often would fund their stay by working at the local farms. 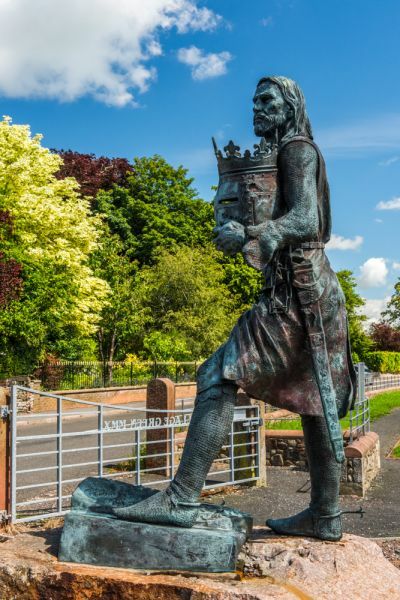 As a side note, on visiting Gretna Green you might want to visit the monument to King Edward 1st, which is on the opposite side of the Solway from Gretna on Burgh Marsh. The monument marks the spot where the king died attempting to invade and conquer Scotland. Solway Moss near Gretna junction is the site of the battle of 1542 where the Scottish army of 10,000 men were routed by the English. It is said that this disaster broke the heart of James V of Scotland.